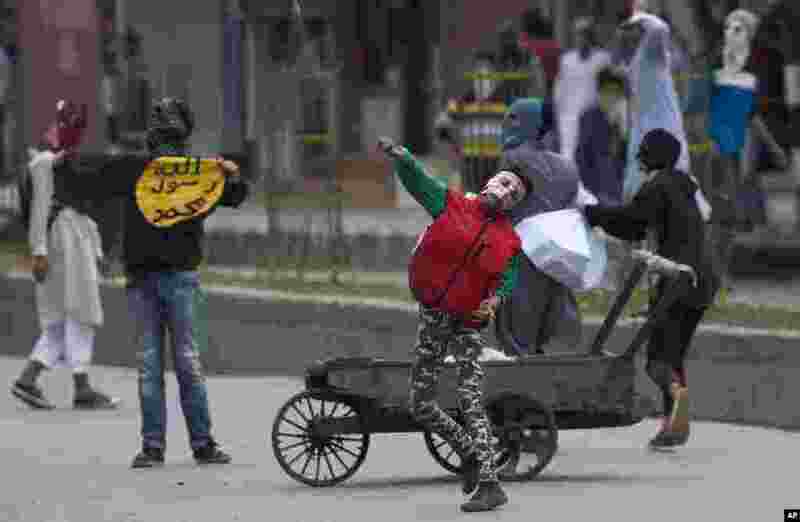 1 Kashmiri Muslim protesters throw stones at Indian security personnel during a protest in Srinagar, Indian controlled Kashmir. 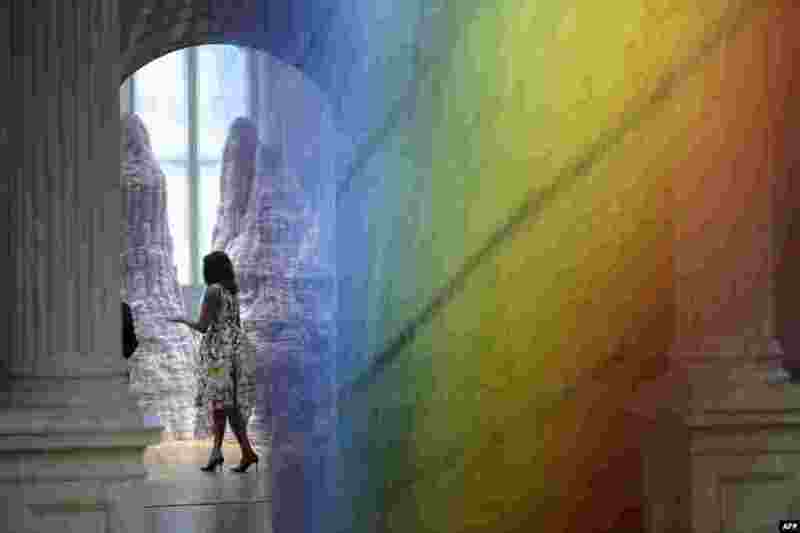 2 U.S. First Lady Michelle Obama is seen through Gabriel Dawe's Plexus A1 at the Smithsonian's Renwick Gallery in Washington, DC. 3 Children of the Aleijadinho Foundation practice with trampoline during celebrations for the arrival of the Olympic torch in Ouro Preto historic city in Minas Gerais, Brazil. 4 Two hostesses kiss Dutch cyclist Tom Dumoulin of Giant - Alpecin team as he bears the leader's pink jersey on the podium in the 7th stage of 99th Giro d'Italia, Tour of Italy, from Sulmona to Foligno in Foligno, Italy.